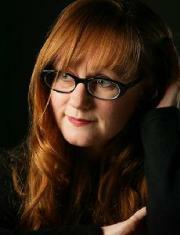 Emily Thompson is a historian of technology who studies late 19th- and early 20th-century America. Her research explores the cultural history of sound, music, noise, and listening, and focuses on how these phenomena and activities intersect with technologies like the phonograph, motion pictures, and architecture. Her work has been supported by the National Science Foundation, the National Endowment for the Humanities, and The Academy of Motion Picture Arts and Sciences. In 2005, she was named a MacArthur Fellow. Professor Thompson was a 2015 Guggenheim Fellow and a Fellow at the Institute for Advanced Study in Princeton. Her other awards include the Citation for Best Historical Materials, American Library Association, Reference and User Services Association (2015), the Edelstein Prize of the Society for the History of Technology (2005), the Marc-Auguste Pictet Prize of the Société de Physique et d’Histoire Naturelle de Genève (2004), the John Hope Franklin Prize of the American Studies Association (2003), the Lewis Mumford Prize of the Media Ecology Association (2003), and the Science Writing Prize of the Acoustical Society of America (2002). The Roaring ‘Twenties, an interactive, multimedia website on Noise in New York City circa 1929 in collaboration with Scott Mahoy. “Wiring the World: Theater Installation Engineers and the Empire of Sound in the Motion Picture Industry, 1927-1930, pp. 191-209 in Veit Erlmann, ed., Hearing Cultures: Essays on Sound, Listening, and Modernity (Berg, 2004). The Soundscape of Modernity: Architectural Acoustics and the Culture of Listening in America, 1900-1933 (Cambridge, MA: MIT Press, 2002). “Machines, Music and the Quest for Fidelity: Marketing the Edison Phonograph in America, 1877-1925,” Musical Quarterly 79 (Spring 1995): 131-171.